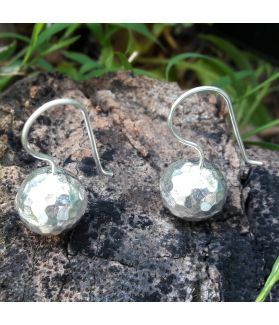 HILL TRIBE SILVER LOVELY ROSE CLASPS Each piece is approximately 11.5 x 20 mm in size. The price and weight given is per piece. The minimum order is 4 pieces. 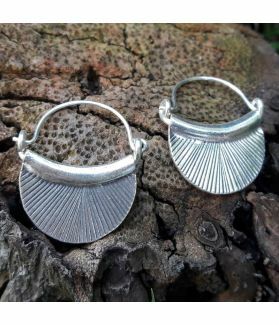 This hill tribe silver toggle is made of 99% silver and has been crafted by the hands of artists in a hill tribe community known as the Karen, based in the northern region of Thailand. The handcrafting of Karen silver is a long-established tradition in which the know-how has been taught from generation to generation. 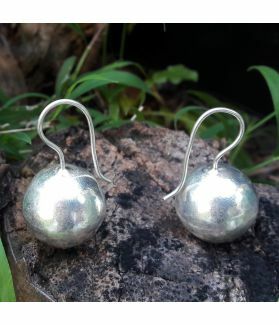 The high silver content of fine silver makes it pure and gives it a softer texture than sterling silver in which can be easily worked with by hand, but is of a higher quality and tarnishes more slowly. Wrought by hands, this fine silver toggle will vary slightly in size and shape with each piece. However, with an artistically unique tribal design, you will feel an emotional connection with the Karen hill tribes of Thailand as you wear it. This hill tribe silver toggle can be used as a finishing piece for your bracelets and necklaces.